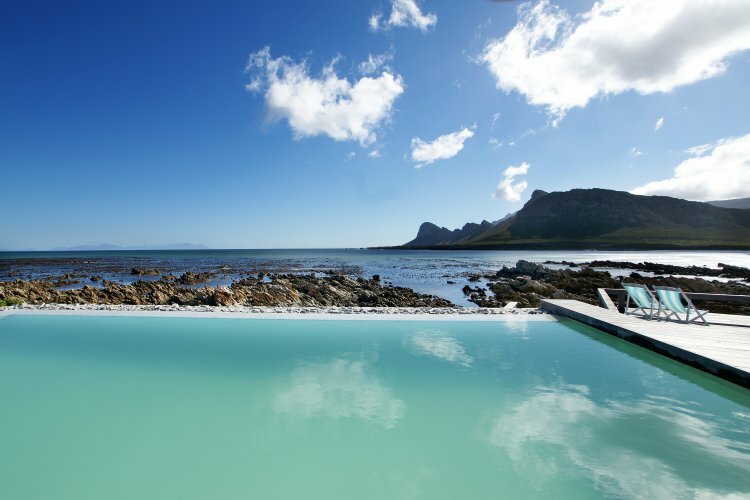 Pringle Bay is a lovely seaside village approximately one hour from Cape Town. 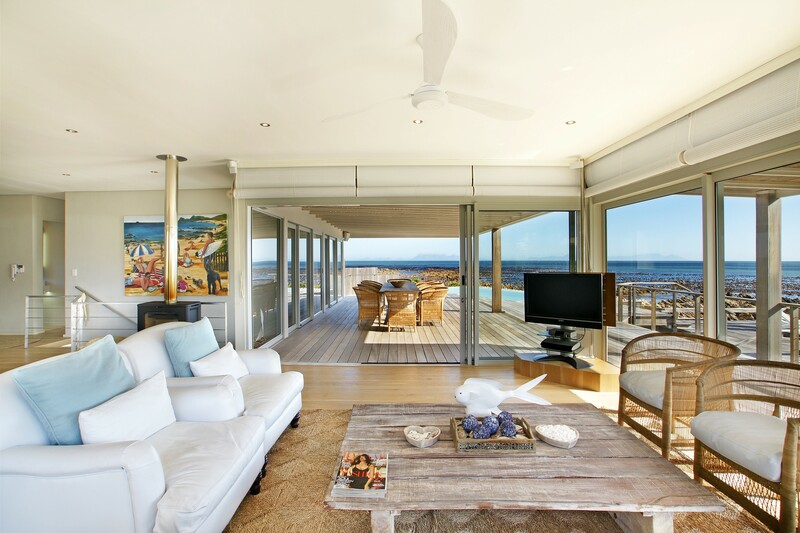 The north facing home is situated on the long white beaches with beautiful sunsets overlooking Table Mountain. 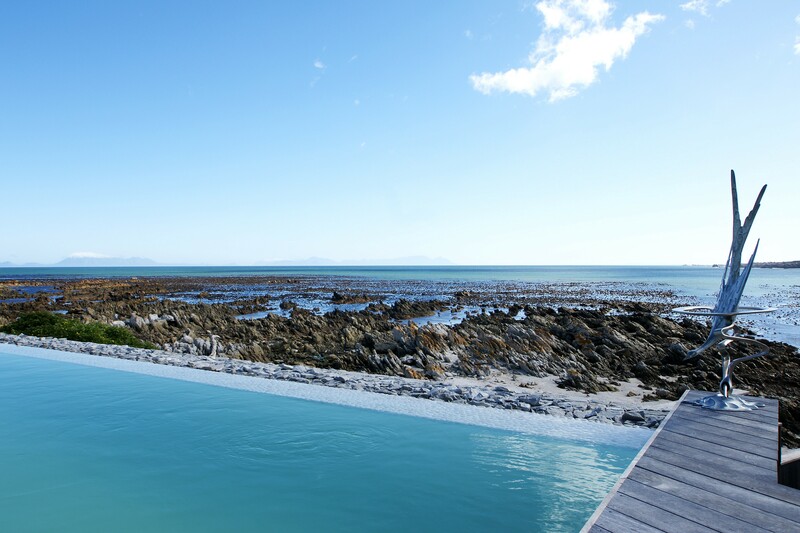 The ocean has abundant sea life including whales, sea otters, crayfish and marine life. 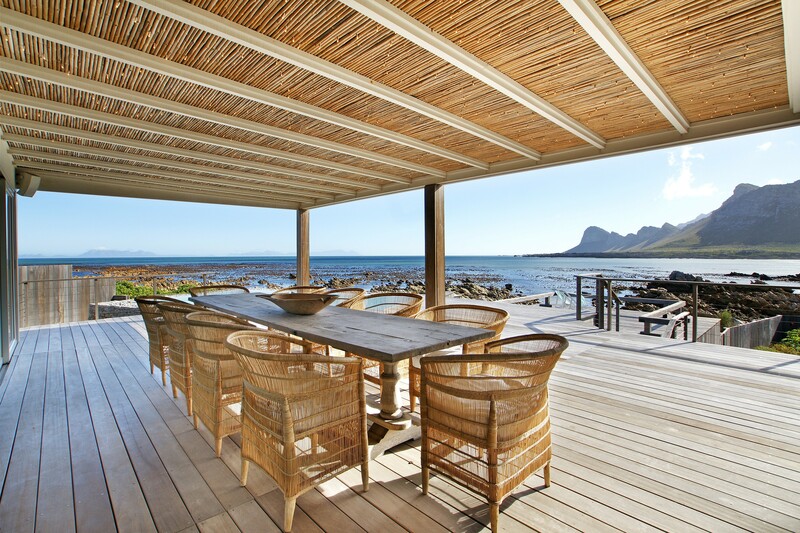 Take a walk into town for the many excellent restaurants and coffee shops. 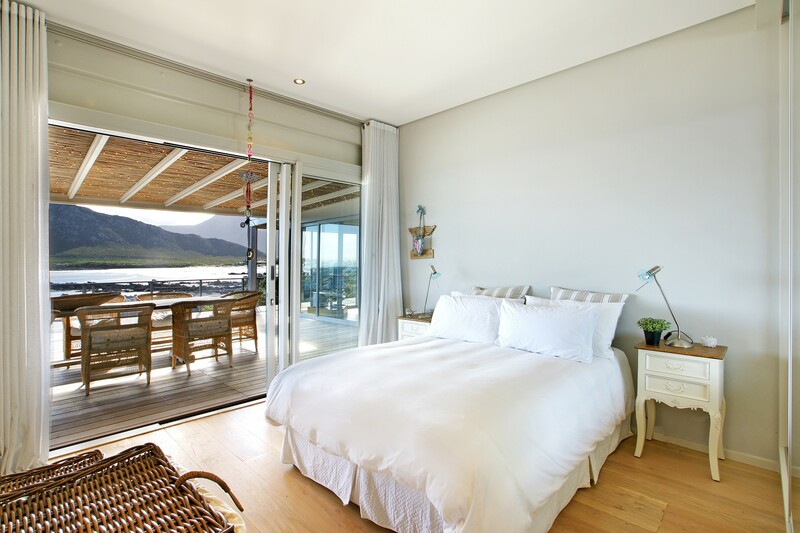 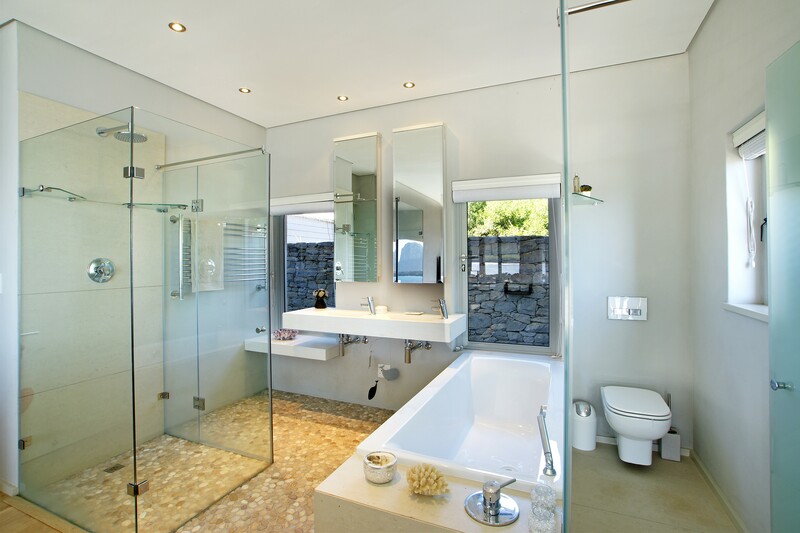 The Pringle Bay Beach Villa has 4 luxury bedrooms each with an en-suite bathroom. 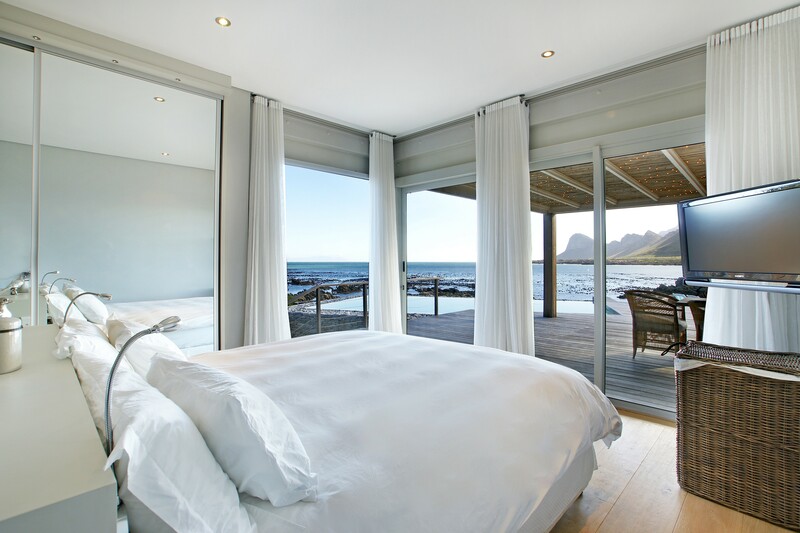 Two of the bedrooms offer King-size extra length beds, one bedroom has twin beds and the last one has a queen size bed. 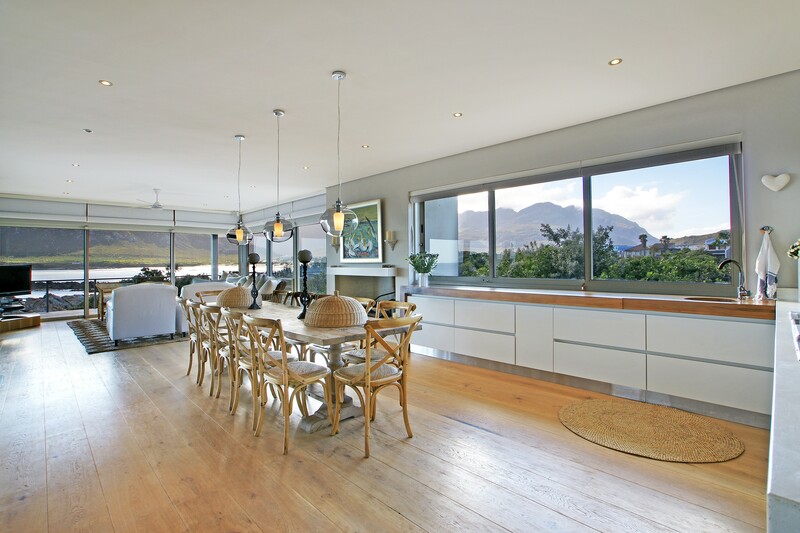 The open plan lounge; kitchen and dining area is fitted with the finest finishes and is fully equipped with quality utensils to make cooking a wonderful family dinner easy to enjoy. 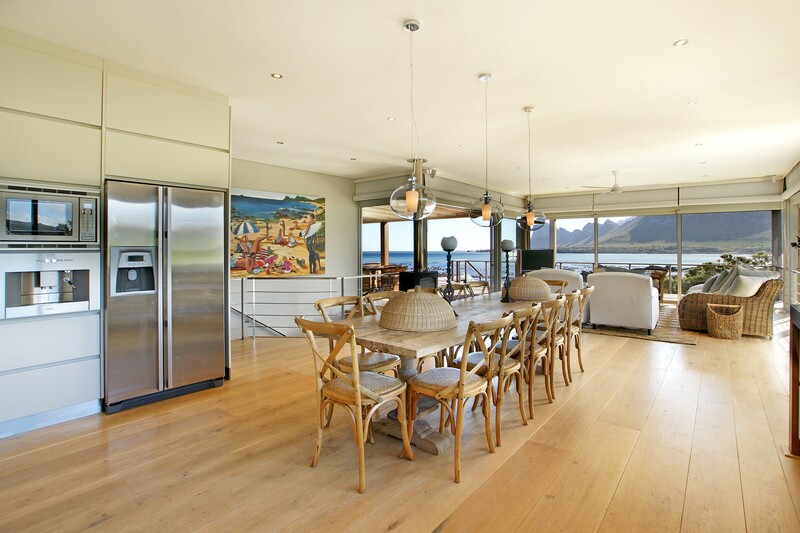 The fireplace makes this living space a cozy area during the winter as well. 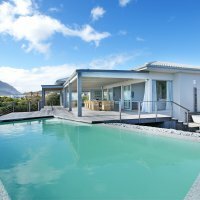 The bedrooms on the first floor and the open plan lounge, kitchen and dining area lead onto a large terrace which offer magnificent sea and mountain views. 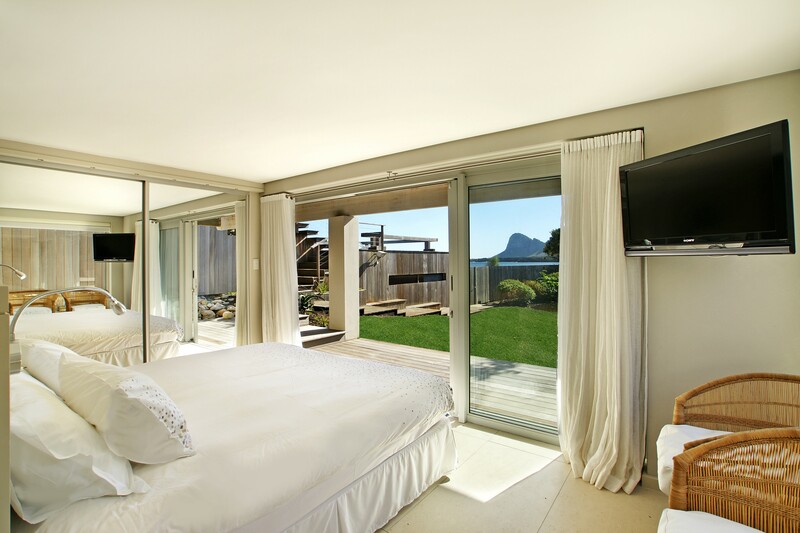 The downstairs bedrooms open up onto a garden. 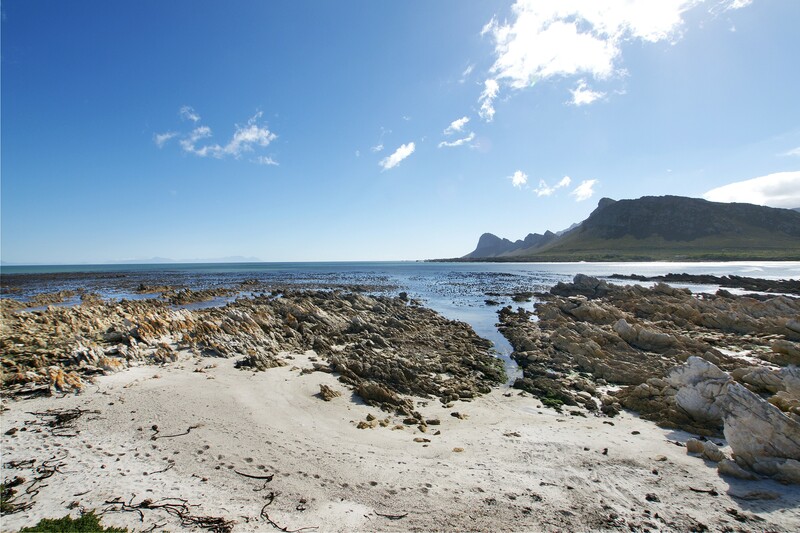 The Pringle Bay area offers lots to do and see nearby while staying at the villa. 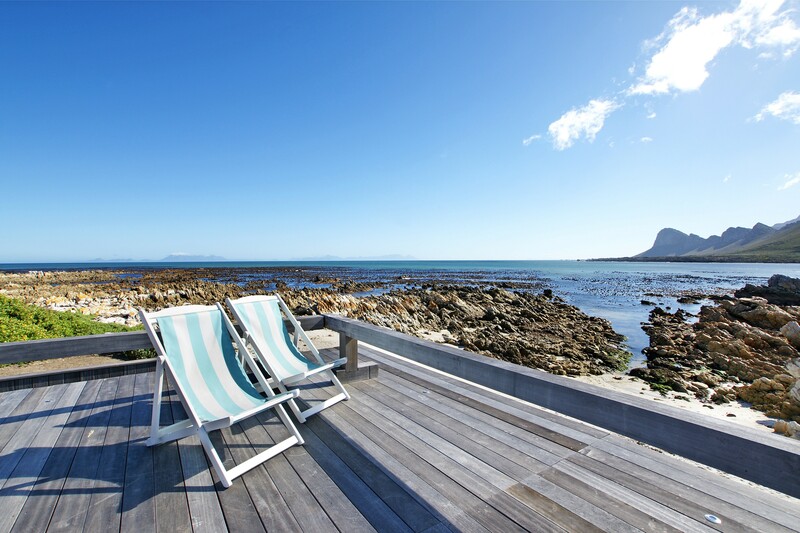 These include the Harold Porter Botanical gardens, the penguins at Stony Point, kayaking at the Palmiet River, sandboarding at Bettys Bay and various art or craft shops and local markets.